The Spokane Chiefs weren’t going to re-sign Don Nachbaur as head coach after the 2017-18 season, so the decision was made to part company right now. According to the Spokane Spokesman-Review that’s how general manager Scott Carter explained the decision that was announced on Thursday morning. . . . “In my mind, we weren’t going to carry on beyond this year and this opened up a discussion,” Carter told the newspaper. “We both felt it was in both our interests to part ways now. Don is a good coach, but we were willing to move forward. There’s nothing negative about Don.” . . . In September, the Chiefs had signed Nachbaur to an extension through next season. If you’re a WHL team looking for a coach, where do you start? Well, how about with Kyle Gustafson or Enio Sacilotto? . . . Gustafson is the Portland Winterhawks’ associate coach and is in his 11th season on the coaching staff there. Travis Green, the last assistant coach in Portland under Mike Johnston, has worked out pretty well with the AHL’s Utica Comets. In fact, his name comes up every time there is an NHL head-coaching vacancy. So why not Gustafson? . . . Sacilotto, who has a terrific resume, is the Victoria Royals’ director of prospect development and WHL scout. He was moved into that position on Aug. 25, after six seasons as an assistant coach. Earlier this month, he was named head coach of Croatia’s entry in the 2017 IIHF World Championship tournament (Division 1, Group B) that runs in Belfast, Northern Ireland, April 23-29. Apparently, if someone is tested for mumps, the results are available about three days later. That being the case, it might be worth noting that the Thunderbirds have never said whether Barzal tested positive for mumps. Just spitballing here, but what if his “illness” isn’t mumps? Could he have an injury or some other ailment? Hey, Sportsnet, I didn’t comment on your abysmal CHL telecast schedule late in the regular season. But your decision to show us the OHL’s Kingston Frontenacs beating the host Hamilton Bulldogs, 5-1, on Thursday night, while the London Knights and Windsor Spitfires were playing was a slap in the face. You set the table by showing two games earlier in the London/Windsor series, which is the most attractive matchup in the opening round of CHL playoffs, so why not continue with it? BTW, the host Spitfires won, 3-2, in OT last night to take a 3-1 lead in that series. They’re back in London for Game 5 tonight when there aren’t any games scheduled for TV. The Spitfires, don’t forget, will be the host team for the 2017 Memorial Cup tournament. Meanwhile, in Gary Bettman’s world, five Canadian NHL teams were playing on Thursday night and all five games — Florida at Montreal, San Jose at Edmonton, Ottawa at Minnesota, Toronto at Nashville, Anaheim at Winnipeg — were televised with regional restrictions. Thankfully, WGN Chicago was showing a baseball game between the Cubs and Houston Astros. The MLB season begins Sunday. Finally! The WHL’s department of discipline was busy whacking and disciplining on Thursday. Peter Anholt, the general manager of the Lethbridge Hurricanes, contributed $1,000 to the WHL’s Easter egg fund for “actions following game at Red Deer on March 29.” That was Game 3, which the Hurricanes lost, 4-3, in OT to the Rebels on Wednesday night. . . . Meanwhile, D Dalton Yorke of the Tri-City Americans had his suspension set at two games. He sat out a 9-2 loss to the visiting Seattle Thunderbirds on Wednesday and will miss tonight’s Game 4 in Kennewick. If the Americans lose, their season will be over and so will Yorke’s career as he is in his 20-year-old season. He was suspended under supplemental discipline for a high hit on Seattle F Ryan Gropp in Game 2. Yorke was given a charging minor on the play. Gropp was scratched from Game 3 with an undisclosed injury. Parry Shockey, a former WHL coach who is well known in hockey circles, remains in a Calgary hospital after being involved in a serious accident on Highway 519 near Fort Macleod, Alta., on March 16. According to Fort Macleod RCMP, a car travelling west pulled out to pass another vehicle when it collided head on with an SUV that was travelling east. Shockey was driving the SUV. The driver of the car was declared dead at the scene. Shockey, with non-life-threatening injuries, was taken by ambulance to hospital in Calgary. Shockey, 63, was an assistant coach with the Spokane Chiefs for two seasons (1994-96). He was the head coach of the Lethbridge Hurricanes in 1996-97, then spent two seasons (1997-99) as head coach of the Regina Pats and one (2004-05) with the Moose Jaw Warriors. Would a WHL head coach make healthy scratches of two of his best forwards for Game 5 of a playoff series that is tied 2-2? The Swift Current Broncos beat the visiting Moose Jaw Warriors, 5-2, on Wednesday night to even that series. They’ll play again Friday in Moose Jaw. After Game 3, Moose Jaw head coach Tim Hunter unloaded on veteran forwards Noah Gregor and Jayden Halbgewachs. Hunter pointed out that he sat Brayden Burke in an earlier game in the series and the veteran forward responded. Burke was benched during Game 2 on Saturday night, then returned to scoring the game-winner in a 3-2 victory that evened the series, 1-1. “We’re like a boat carrying a couple of anchors in Halbgewachs and Gregor, who haven’t played very well in the four games so far, and that’s going to end because they’re going to be candidates for being sat out. “I have seen (and heard) coaches who are upset with their teams. I have been involved in off-the-record conversations with coaches who are privately livid over the performance, or lack thereof, of a particular player. “But rare is the day in which a head coach will publicly single out a skater — Hunter being a notable, quotable exception. “Hunter is very good at what he does, as evidenced by his inclusion on Canada’s world junior coaching staff. Perhaps he will emerge from this series with an enhanced reputation, adding the unofficial title of ‘master psychologist’ to his resume. They’ll play Game 6 back in Swift Current on Saturday. Vanstone’s column is right here. F Garrett Pilon of the Kamloops Blazers has signed a three-year entry-level contract with the NHL’s Washington Capitals. They selected him in the third round of the NHL’s 2016 draft. . . . Pilon, who turns 19 on April 13, was born in Mineola, N.Y., but played minor hockey in Saskatoon. He is the son of former NHLer Rich Pilon. . . . Garrett had 47 points, including 15 goals, in 71 games as a WHL freshman in 2015-16. This season, he put up 20 goals and 45 assists in 67 games. . . . The Capitals said in a news release that Pilon will report to the AHL’s Hershey Bears when the Blazers’ season ends. They trail the Kelowna Rockets, 3-1, in a first-round series, with Game 5 in the Little Apple tonight (Friday). Pilon has one assist in the first four games of the series. 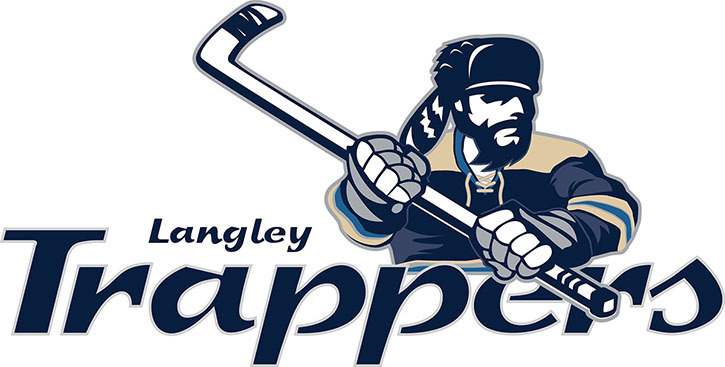 The junior B Pacific Junior Hockey League has expanded to 11 teams with the addition of the Langley Trappers, who will play out of the George Preston Recreation Centre. The Trappers are co-owned by Burt Henderson and Brad Bakken. Henderson will be the general manager and head coach, with Bakken as the assistant GM and associate head coach. Bakken, a defenceman in his playing days, got into 53 games over three seasons (2005-08) with the WHL’s Seattle Thunderbirds. . . . Interestingly, as Gary Ahuja of the Langley Times, points out, the Trappers arrive in Langley one season after the junior B Langley Knights moved to Surrey following the relocation of the Vancouver Giants from the Pacific Coliseum to the Langley Events Centre. . . . Ahuja’s story is right here. The MJHL’s Waywayseecappo Wolverines issued a news release Thursday morning, stating that they are “accepting resumes for the position of head coach and for the position of assistant general manager.” . . . The Wolverines were 14-42-4 this season, finishing last in the 11-team MJHL, under general manager/head coach Barry Butler. The junior B Nanaimo Buccaneers of the Vancouver Island Junior Hockey League have replaced general manager/head coach Dan Lemmon with Curtis Toneff, who had been an assistant GM/assistant coach with the BCHL’s Trail Smoke Eaters. . . . Toneff is a Nanaimo native. . . . The Buccaneers had a 31-16-1 regular-season record, the best in the franchise’s five-year history, then lost in five games to the Campbell River Storm in the North Division final. . . . Lemmon spent two seasons with the Buccaneers. Judd Lambert has resigned as head coach of the junior B Richmond Sockeyes of the Pacific Junior Hockey League. 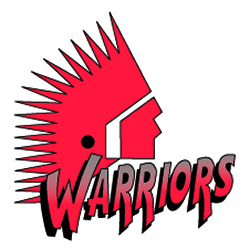 This season, the Sockeyes were 22-13-3-5, good for third place in their division. The Sockeyes have yet to name a replacement. Lambert, a former Sockeyes goaltender, had been head coach for five seasons, before taking a year off. He returned for the 2013-14 season. The AJHL’s Drumheller Dragons have hired Kevin Hasselberg as their general manager and head coach. He replaces Brian Curran, whose contract wasn’t renewed after he finished his fifth season. Hasselberg, a native of Duchess, Alta., left the SJHL’s Battlefords North Stars last summer for the SPHL’s Pensacola Ice Flyers. He had been GM and head coach of the North Stars for five seasons. Hasselberg took over from Rod Aldoff in Pensacola, but was fired and replaced by Aldoff on Feb. 13. . . . This season, the Dragons finished 22-33-5, good for sixth place in the eight-team Viterra South Division. . . . Hasselberg also spent six seasons as head coach of the AJHL’s Olds Grizzlies. Interesting how the pre-seasons for @MLB and @NBA are ending about the same time. At Red Deer, F Evan Polei, who scored the OT winner in Game 3 on Wednesday night, broke a 3-3 tie on a wrap-around with 1:59 left in the third period as the Rebels beat the Lethbridge Hurricanes, 5-3. . . . The Rebels will take a 3-1 series lead into Lethbridge for Game 5 on Saturday . . . The Hurricanes (44-21-7) finished second in the Central Division, 22 points ahead of the Rebels (30-29-13). . . . For the second straight game, the Hurricanes watched a two-goal lead disappear. . . . F Tyler Wong put Lethbridge ahead at 2:19 of the first period, with F Jordy Bellerive (1) making it 2-0 at 15:39. . . . Red Deer halved the deficit on F Lane Zablocki’s goal at 19:22. . . . 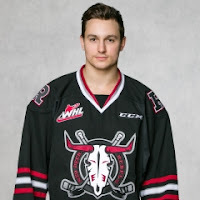 The Rebels pulled even when F Brandon Hagel scored a shorthanded goal at 5:14 of the second period. . . . Wong’s fourth goal, on a PP, gave the Hurricanes a 3-2 lead at 17:58. . . . Zablocki’s fifth goal of the series, on a PP, got Red Deer back into a tie at 9:11. . . . Polei’s third goal snapped the tie and Hagel (4) added an empty-netter at 19:05. . . . Red Deer got four assists from F Michael Spacek and two from D Carson Sass. Polei added one to his goal. . . . D Igor Merezhko and F Egor Babenko each had two assists for Lethbridge. . . . The Rebels got 27 saves from G Riley Lamb, while Lethbridge G Stuart Skinner stopped 38 shots. . . . Lethbridge was 2-8 on the PP; Red Deer was 1-3. . . . The Hurricanes were without F Giorgio Estephan for a second straight game after he took a high-stick to the face from Spacek in the second period of Game 2. . . . Announced attendance: 5,213. Hitmen. . . . 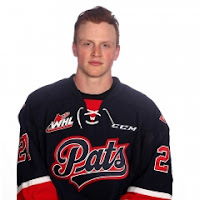 The Pats, who finished atop the overall standings, swept the Hitmen from the first-round series. . . . Regina finished 42 points ahead of Calgary in the regular season, so a sweep wasn’t a surprise. . . . Going back to the regular season, the Pats now have won 12 straight games. . . . D Dallas Davidson broke open a goal-less game with his first goal at 2:51. . . . F Austin Wagner, who is from Calgary, made it 2-0 at 7:47 and then added more insurance at 19:25. Both goals came via the PP. . . . Wagner has three goals in these playoffs. . . . F Tristan Nielsen (1) got Calgary on the scoreboard, on a PP, at 7:03 of the third period. . . . Regina put it away on PP goals from D Connor Hobbs (1), an empty-netter at 17:53, and F Jeff de Wit (1), at 19:11. . . . Hobbs also had two assists. . . . G Tyler Brown stopped 20 shots to earn the victory over Cody Porter, who made 34 saves. . . . Regina was 4-6 on the PP; Calgary was 1-3. . . . Announced attendance: 7,246.
they’ll head back to Portland for Game 6 on Monday. . . . Someone mentioned to me that if the series goes seven games, the Winterhawks will spend 90 hours on their bus. . . . A seventh game, if needed, would be played Wednesday in Prince George. . . . Last night, the Cougars got out to a 2-0 lead on first-period goals from F Aaron Boyd (3), at 8:12, and F Jesse Gabrielle (1), at 11:17. . . . The Winterhawks pulled even before the period ended, though, as F Evan Weinger (1) counted at 17:01 and F Skyler McKenzie (3) scored on a PP at 18:33. . . . F Keegan Iverson (2) gave the Winterhawks the lead at 8:20. . . . The Cougars roared back to take a 4-3 lead late in the period on goals from F Nikita Popugaev (1), on a PP, at 15:46 and F Radovan Bondra (2), at 17:24. . . . Revel, a late-season waiver pickup, tied the score, 4-4, at 8:54 of the third period, then got the winner at 15:34. . . . Revel suffered a collarbone injury while with the Kamloops Blazers during a game against the host Edmonton Oil Kings on Dec. 10. 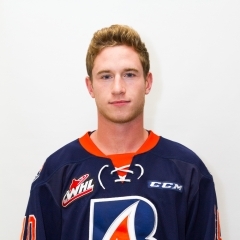 He was on the shelf as the Jan. 10 trade deadline arrived and the Blazers added F Lane Bauer, 20, from the Oil Kings. In order to make room, Kamloops put Revel on waivers. He played 11 late-season games with Portland, scored twice and adding an assist. . . . He went into last night’s game with a goal and six assists in 14 career playoff games. . . . The Winterhawks got a big game out of D Caleb Jones, who drew four assists, while F Cody Glass had two. . . . D Brendan Guhle had two assists for the Cougars, with Bondra getting one. . . . The Winterhawks got 29 saves from G Cole Kehler. . . . At the other end, G ty Edmonds stopped 27 shots. . . . Portland was 2-4 on the PP; Prince George was 1-3. . . . Portland F Brad Ginnell, the grandson of the late Pat Ginnell, a WHL legend in his day, made is playoff debut. . . . The Cougars scratched F Brad Morrison, who returned from an ankle injury to score a goal in Game 2, but struggled in Game 3. . . . Announced attendance: 4,491.